Special day has over thirty years’ experience designing and delivering high quality products to the bridal market. 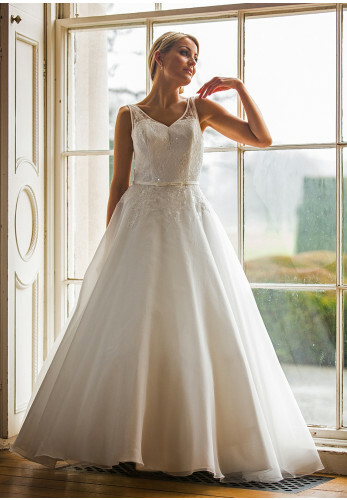 The award winning collections are designed at the design studio in Dublin and include exquisite dresses that are specific to the Irish Bride. McElhinneys have invested in this collection with the aim of bringing an excellent quality, home produced product to our brides. Our Collection of Special Day dresses are the ideal choice for the modern curvy bride who wants to combine style with an excellent fit. The dresses that we have in store area delightful mixture of fine lace, beading, satin skirts and varied necklines. 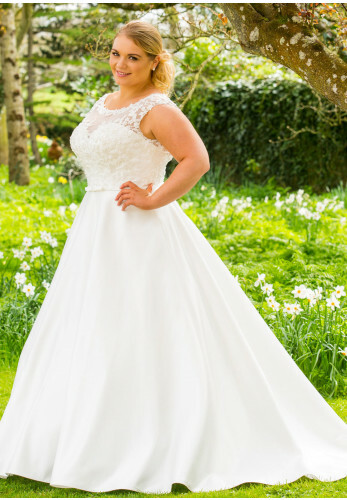 We literally have every style and budget a curvy bride can dream of.The Designer Joanne McFadden is the design director at Special Day. She follows a long tradition of Irish designers having trained in the Grafton Academy of dress design. In 1992 she obtained a first class honours degree in Bridal Design and construction. Her work has seen her recognised in Holland, Germany and the UK where she won the British Bridal award in the slim silhouette category having been a finalist for the previous few year’s .Joanne designs over 200 gowns per year for the various collections within the Special Day label. The Special Day dresses are available to order from size 18 – 30 and we aim to have a sample of each size in store for you to try on. As it isn’t possible for us to display our entire collection of Special Day dresses online, we invite you to request an appointment or visit us in store for a shopping experience that will set a new standard in terms of the available selection and customer service. Our fitting rooms also grant you with the utmost privacy, giving you a taste of the same regal feeling you will get when your wedding gown selection is made from one of our Special Day dresses.